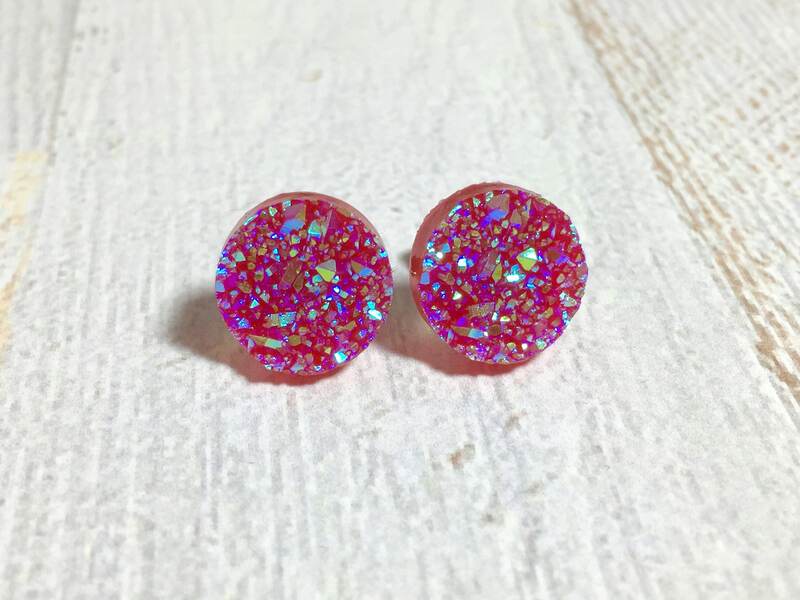 I've been in love with all things druzy for quite some time now. 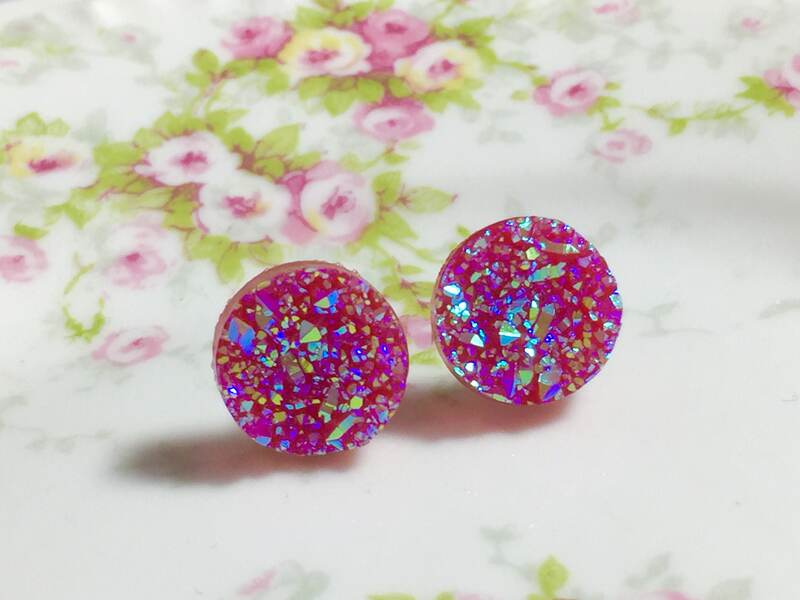 I love faux druzy because they are nice and light to wear, but still have the impact of lucious gemstones. Just darling! 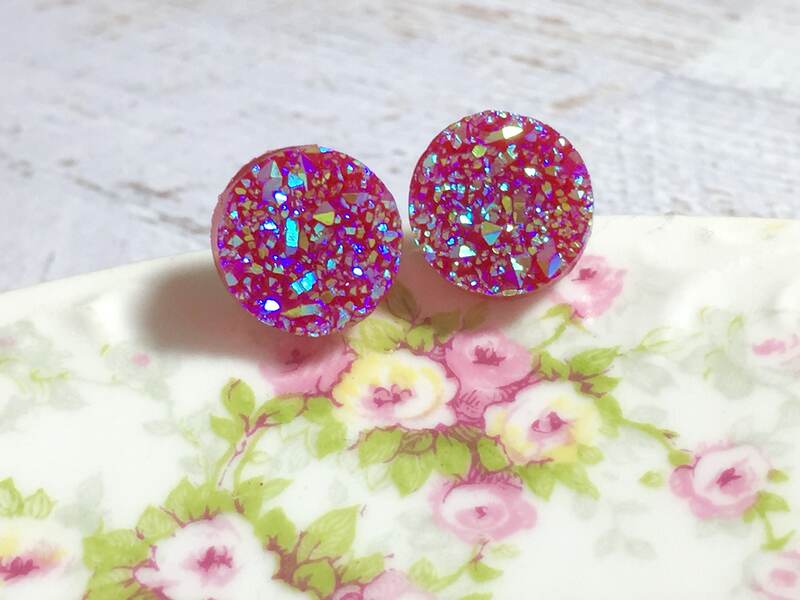 I made these particular druzy stud earrings with small round blue bumpy resin faux gemstone cabochons that shimmer, sparkle and shine like they are flecked with big glitter pieces. p.s. 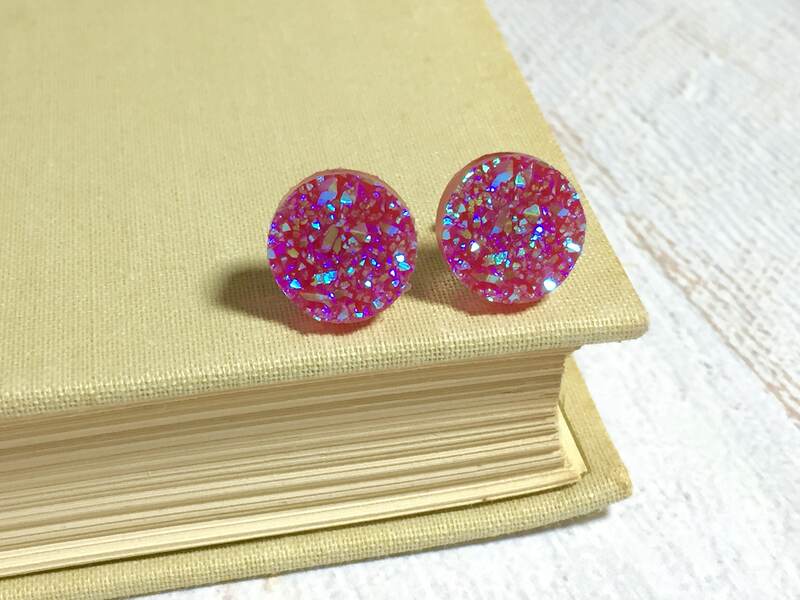 I have druzy studs available in several colors. 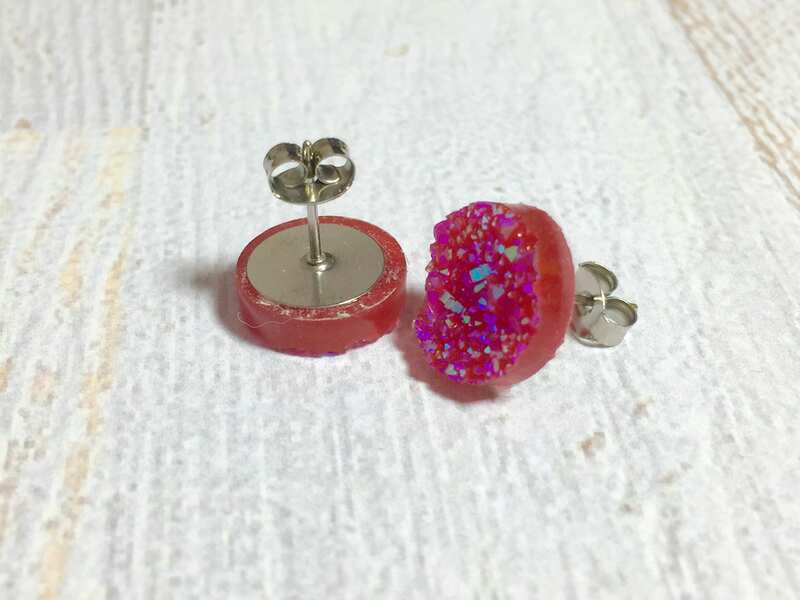 Please see my shop to find your favorite color.